What's The Worst Car For A Summer Road Trip? We already know the best cars for eating highway this summer. What is the absolute worst car you could drive instead? Well, the ideal road trip car is something that's stable on the highway, reliable, comfortable, economical, and fun to drive in the corners. By contrast a terrible road trip car would have to be unstable, unreliable, uncomfortable, uneconomical, and terrible to drive in the corners. 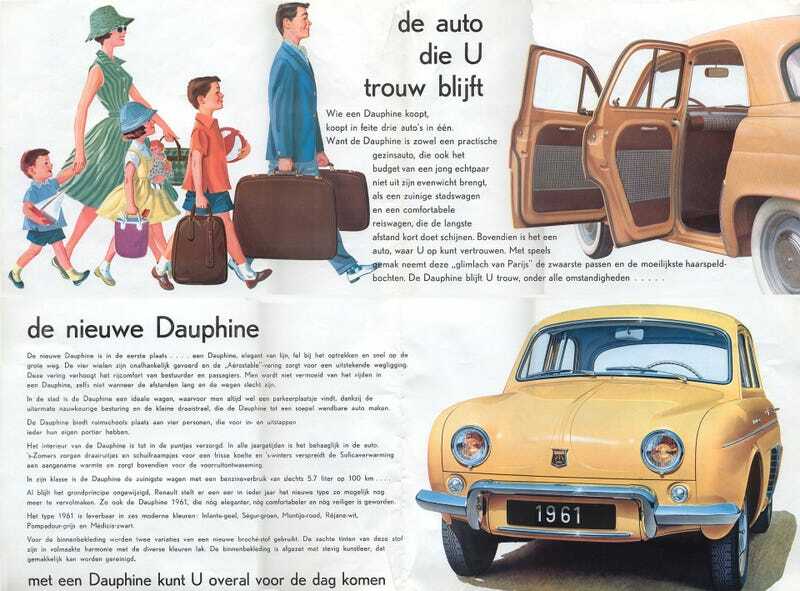 That's why I would put a Renault Dauphine as the worst road trip car you could buy. The engine is in the back, there's very little space, it's likely to break down, parts would be impossible to find, and it would buzz on the highway. On the plus side, though, it'd get decent mileage and you'd look really cool. What do you think would be the absolute worst car to take on a summer road trip?